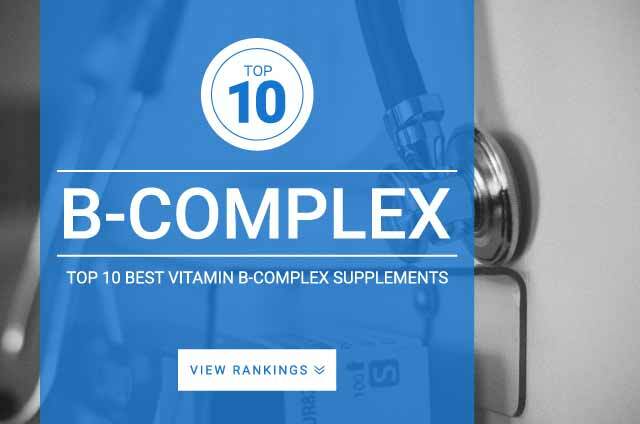 Onlinestrength analyzed 10 best-selling Vitamin B Complex supplements in the United States for thiamin (B-1), riboflavin (B-2), niacin (B-3), pantothenic acid (B-5), pyridoxine (B-6), biotin (B-7), folate (folic acid, B-9), and (B-12) content and heavy metal (arsenic, cadmium, lead, mercury) contamination. B Complex vitamin supplements are a combination of all the B vitamins. There are eight B-vitamins in total and are generally refered to as B1, B2, B3, B5, B6, B12, biotin, and folate. These vitamins are essential — your body cannot make them internally and you must get them from diet or supplements. B vitamins play important roles in all aspects of human health and are important for maintaining optimal physiological system health (skeletal , muscular, cardiovascular, digestive, nervous, respiratory). Key supportive benefits include maintenance of muscle tone in the gastrointestinal tract, optimal nervous system health, strengthen hair, skin, nail, and liver. Furthermore, these compounds are essential for mood, nerve transmissions, energy metabolism, and weight management. Vitamin B6 (pyridoxine) – important for supporting amino acid metabolism, energy production, nervous system health, and neurotransmitter synthesis (GABA & Serotonin). Vitamin B1 (thiamin) – important for processing carbohydrates, fats, and protein. Useful for healthy digestion and muscle development. Vitamin B2 (riboflavin) – used for metabolizing nutrients and ATP formulation. Vitamin B3 (niacin) – important for cardiovascular health. Vitamin B5 (pantothenate) – supports cardiovascular health, vital for healthy production and breakdown of lipids. Promotes production of acetylcholine. Vitamin B7 (biotin) – acts as a coenzyme for fat,carbohydrate, and protein metabolism. Vitamin B9 (folate) – promotes healthy production of DNA and chromosomes. Works with vitamin b12 and b6 to support healthy homocysteine metabolism. Furthermore, this b vitamin is important for growth and production of red and white blood cells. Vitamin B12 – Supports healthy nerve cell activity and DNA. A vital component for energy production. Its difficult to pin point the best B-complex vitamin as it depends on which b vitamins you are seeking, their respective amounts, and the forms of these B vitamins. There won’t be an exact recommend dose for b-complexes as each supplement/product is made using different vitamin amounts, and formulations of these b vitamins. These are the values established by the FDA for DV (Daily Value) and DRI (Dietary Reference Intake) Values for B Vitamins. Keep in mind that you shouldn’t base your requirements on DV values on labels because the FDA has not updated the RDA values since 1968.